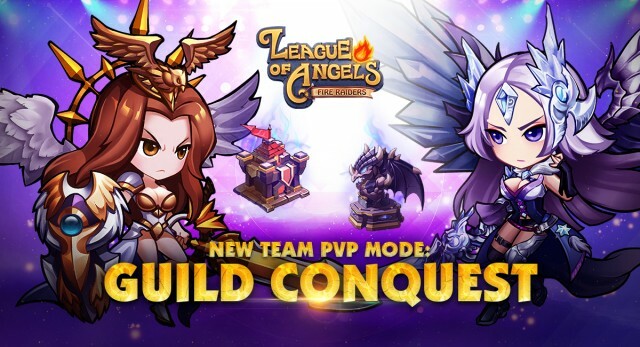 League of Angels – Fire Raiders Update 3.8 Released New Guild PvP mode, New Heroes and More! League of Angels - Fire Raiders’ new update was just been released today that brings a huge new Guild PvP mode, new Heroes, and more improvements to the game! The update is available from Google Play, the App Store and Amazon. Download now and enjoy exciting new content for the best free to play strategy RPG on mobile! A new PvP mode - Guild Conquest - is being launched in Update 3.8. This mode allows your Guild to fight together for glory and great rewards. Guild Conquest is accessible from the new Guild Conquest building within the Guild interface. It is available to players level 65 and above and Guilds level 30 and above. 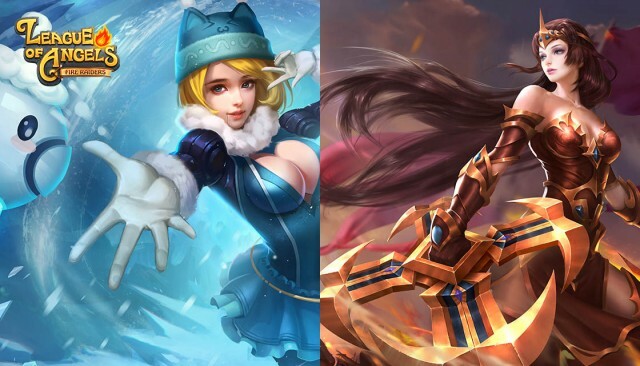 Fans of MOBA games might find a few similarities with this new mode! Players can earn Merits during battle that can buy items in the new GC Shop. Click http://angelmobile.gtarcade.com/news/7832.html to know more about Guild Conquest. This time two unique heroes have arrived on Elysium. Blade Spiral, the Commander of the Kingdom Knights, is a strong and beautiful leader that is admired by her soldiers. She has a calm demeanor, making her a superb commander on the battlefield and invaluable asset in the war against the Demon King. Very little is known about our second hero, Winter Doll. Seeming born from the snow, she lacks human emotions yet possesses a kind heart. She has no recollection of her past and her only friend is her faithful companion, Snowball. Check out our new heroes and see how they can fit in your formation and help you gain the advantage on the battlefield! Download League of Angels – Fire Raiders now from Google Play, the App Store or Amazon. Log in and check out all the crazy new content! Visit the official Facebook fanpage, website, and forums for the latest news and events. Play League of Angels - Fire Raiders now and experience one of the best free to play strategy RPG’s on mobile!